Dissenters today are still treated exactly the same way by the mainstream press as they were 15 years ago at the beginning of the Iraq War. Why is Jim Molan retweeting a Russian propaganda account? As a former soldier, Senator Jim Molan ought to know better than to share Russian propaganda. Returned Sergeant Kevin Frost cannot deal with the pain and guilt of what happened in Afghanistan any longer. It's a pain foreign correspondent John Martinkus knows well. The failure of Bush, Blair, Murdoch and Howard to be held accountable for the Iraq invasion contributes to the profound discontent gripping their countries. 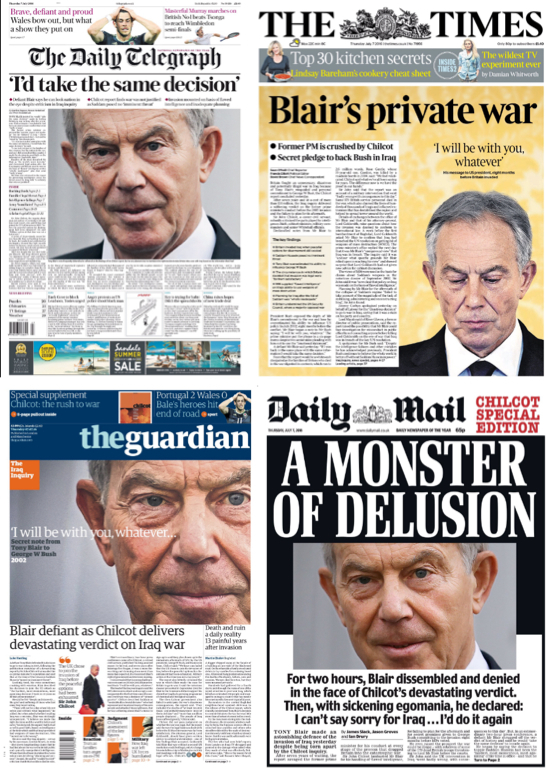 Blair lied to his cabinet, his party, and the people of his nation. Effectively, he used the entire UK as a patsy. Crikey readers weigh in on issues of the day. So how did Bolt get hold of Wilkie’s top-secret Iraq War doc? The Andrew Bolt-Andrew Wilkie case shows the lengths Federal Police will go to in hunting down a journalist's sources. Shorten touched on Trump, but generally speaking both sides have avoided talk of foreign policy so far this campaign.